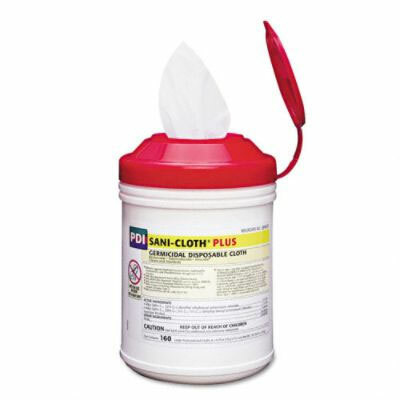 A Quaternary/Low Alcohol Formula (14.85%) for the disinfection of hard, non porous surfaces and equipment. Kills RSV in 1 minute; HBV, HCV, HIV-1 and MRSA in 2 minutes; TB and VRE in 5 minutes. Tested effective against 14 microorganisms. Diamond-embossed wipe material is thick and strong. Unique Deep Well Lid on canister seals securely to prevent moisture loss.